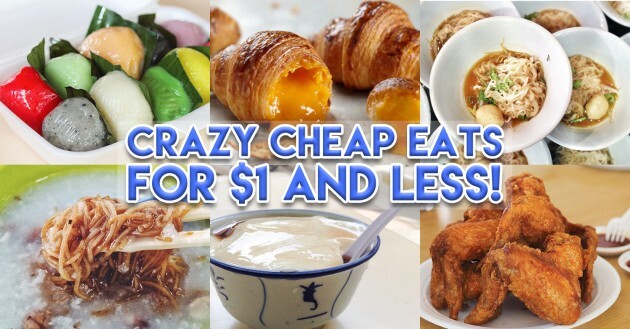 23 Crazy Cheap Eats In Singapore For $1 and LESS! Once again, Singapore has snagged the title of World’s Most Expensive City For Expats, and has also remained the World’s Most Expensive City for 2 years running. With the cost of living in our sunny island ever rising, even hawker food has gotten more expensive, not to mention restaurants and cafes. Think of the prices that you pay for a mediocre cafe brunch: $20 for a plate of eggs and bread, not inclusive of GST and service charge. 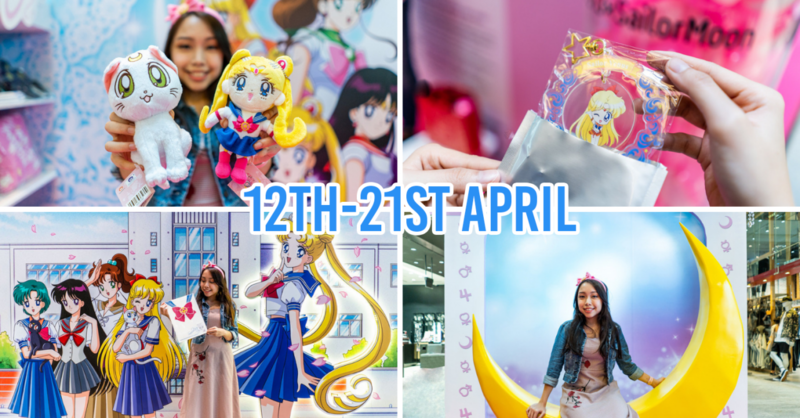 I can hear the sound of weeping wallets. Long gone are the golden days of 30-cents fishball mee and 15-cents ice balls. Or, are they really? 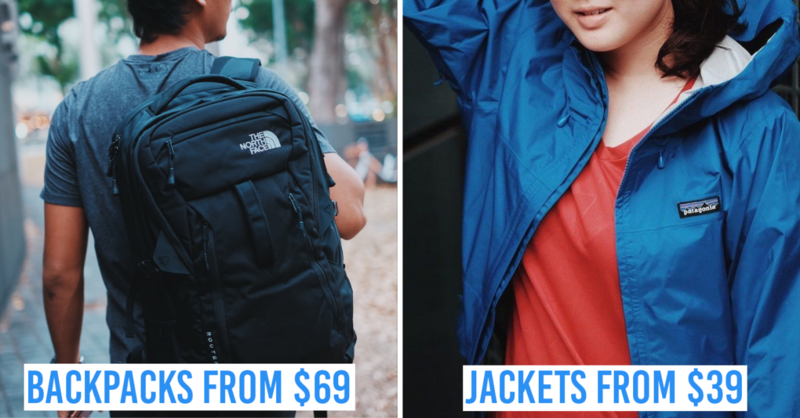 Break out your coin banks everyone, here’s a list of food in Singapore that you can snap up for $1, AND LESS. While the prices may not be as low as those of the past, for this day and age, it’s still unbelievably cheap. You can get your fill of delicious food with eats like $1 noodles, 70-cents desserts, and 50- cents epok epok. SAY WHAT. All the food here is even cheaper than convenience store food, and about a thousand times more satisfying. 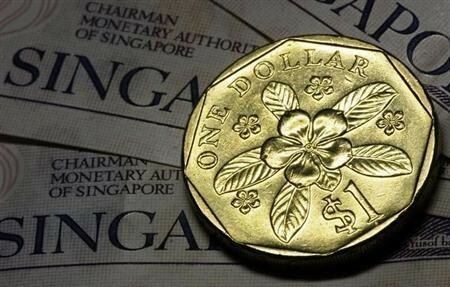 Forget your woes over rising food costs and empty wallets, with the ultimate Guide To Dollar Coin Cheap Eats In Singapore. This stall serves up not one, but TWO dishes that you can order for a dollar! Changi Ji Gourmet at Chinatown serves up plates of Fried Economical Beehoon ($1) and bowls of Fish & Peanut Porridge ($1), which make for a comforting kickstart to the day. Here’s a food hack that we’ve come across: Order a serving of both, and mix the noodles into the porridge to make “Shark’s Fin” Porridge. The savory strands of wok hei-infused bee hoon season the porridge as well as provide a texture of similar to stringy shark's fin. Opening Hours: Wed - Mon : 6am - 2pm. This Hum Jin Pang stall at Maxwell Food Centre lets its customers fry up their own batch of sweet doughy fritters, for a starting price of $1. 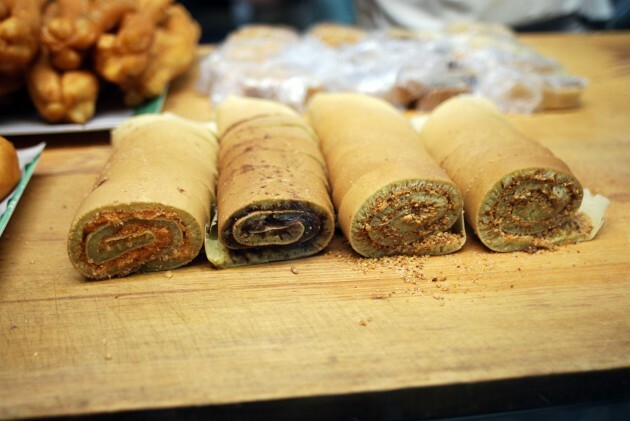 Choose between the sweet Red Bean Stuffed Hum Jin Pang or the 5-Spice Flavored Hum Jin Pang, or get a mixture of both. 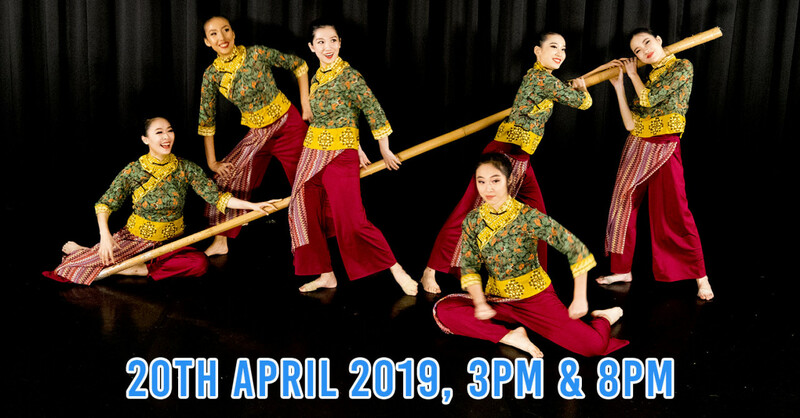 Not only will you’ll get to experience the fun of flipping the golden-brown dough balls with a pair of giant chopsticks and scooping them out yourself, you be treated to a piping hot batch of 6 gloriously crispy hum jin pang. That’s comes down to a less than 20-cents per fritter! Kuay Tiau Rua, or Thai boat noodles, used to be sold on boats floating along the canals in Thailand - hence the small serving size that supposedly makes it easier to consume with no spillage. You can get a taste of Thailand at Thai Boat Noodle at Bedok Point, which dishes out bowls of Mini Thai Boat Noodles in a range of flavors, all for $1 per bowl. 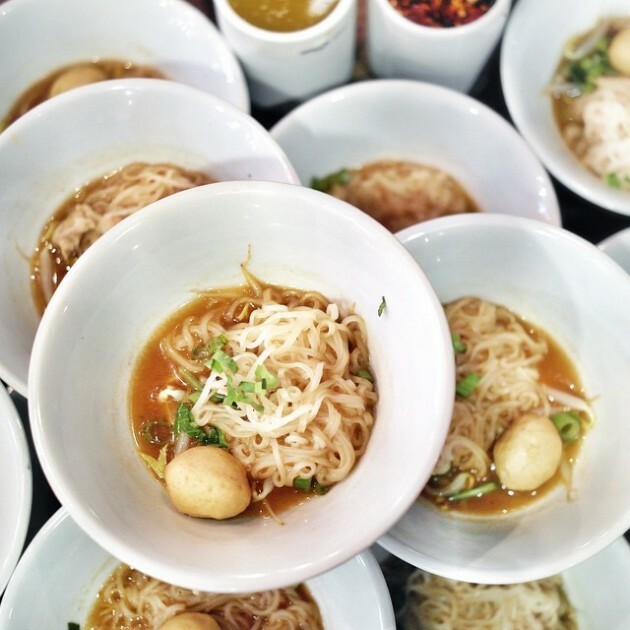 Take your pick from soup or dry boat noodles, which come topped with a bouncy pork ball and other garnishes. While a single serving may not fill you up, it’s sufficient if you’re just a little peckish for something savoury. You can also order an assortment of mini noodle bowls instead of a single large bowl, for variety’s sake. There’s nothing like a bowl of sweet, silky-smooth tau huay (beancurd) for breakfast, or a refreshing bowl of chilled chin chow (grass jelly) to close a hawker food feast. 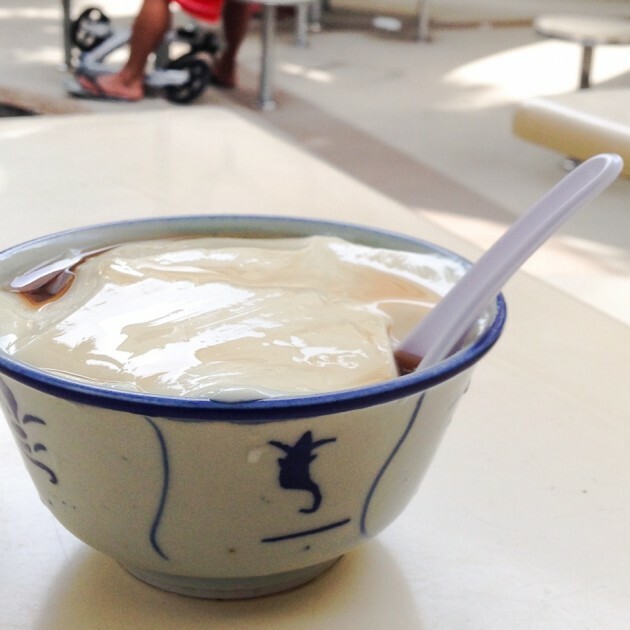 Tan Soon Mui Beancurd is reportedly one of the best places in Singapore for traditional Tau Huay ($1) - i.e. not the sugar-pumped pudding kind - and I can definitely see why. The silky beancurd is sweetened simply with a touch of dark syrup, and gives way at the slightest touch, with every spoonful feeling like velvet in your mouth. Their Chin Chow ($1) is on the softer side as well, being more springy rather than firm. Heavenly on a hot day. Prices may have gone up from $0.50 to $1, but this is undoubtedly still one of the best places to get your fix, in terms of price and quality. For a comforting hit of something fluffy, warm and spicy, get the Naan with Curry ($1) from Pak Kashimiri Delights at Tekka Food Centre. They cook their naan breads in a traditional tandoor oven, which gives them that characteristic crispy crust and fluffy interior - the perfect vessel for soaking up all sorts of gravies and curries. 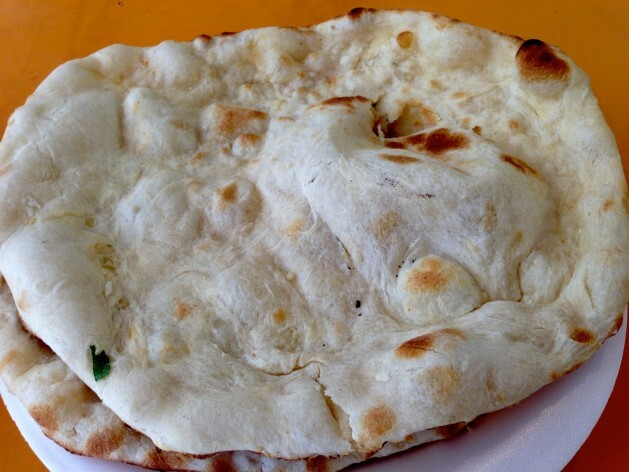 For a dollar, you’ll get an impressively puffy pillow of naan, along with a side of warm curry all ready for dipping. Tear it apart with your hands, and dig into a meal that’s cheap, simple, and super satisfying. It’s hard not to love roti prata.This flatbread is the epitome of sinful deliciousness - fried in oil till crisp and puffy on the outside with layers upon layers of buttery tissue-thin dough, just waiting to be ripped apart and soaked in a plate of steaming curry. This is the stuff you crave once midnight strikes. 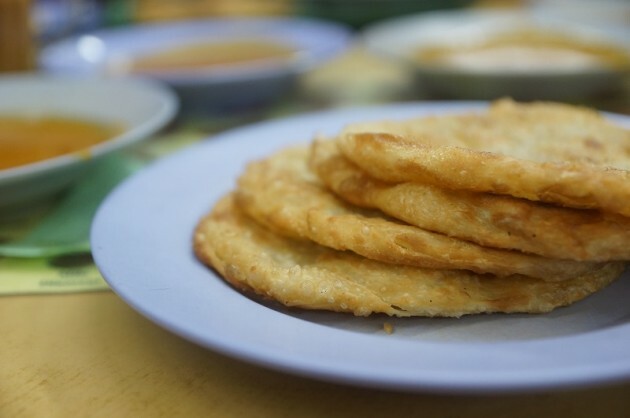 Food may not come cheap nowadays, but The Roti Prata House - a popular breakfast and supper haunt in Upper Thomson - is one place you can order roti prata, for less than a dollar! The Plain Prata ($0.90) that they dish out is wonderfully crispy, and makes for an exceptionally fulfilling chow down. They open early and close late, even staying open for the full 24 hours on Fridays and Saturdays! No diets for us, thank you. Kan chia mee (rickshaw noodles) were a staple amongst rickshaw pullers back in the early days as fuel for their gruelling hours of hard work, hence the name. This no-frills noodle dish used to be sold for a low as 5-cents a bowl! Singapore has come a long way from those early developing years, and it was quite a surprise when I discovered that this super-cheap, simple-yet-satisfying dish is still being sold now. China Street Rickshaw Noodles at Maxwell Food Centre is one of the few remaining places where you can find kan chia mee. You’ll get a bowl of soft yellow noodles stewed in a thick, flavorful pork broth, just the thing for a comforting and exceptionally affordable breakfast. You can choose Mee Sua as well, if you prefer those silky-soft strands instead. Prices may not be as low as they were in the past, but at $0.80, this is by far one of the cheapest meals you’ll be able to find - and in the CBD area too! Super spicy buffalo wings and Korean fried chicken lashed with cheese and whipped cream are all the rage now; but sometimes, all you really need is a freshly-fried, piping hot chicken wing. Who knew that we’d find $1 wings at this humble kopitiam stall in the Bukit Batok estate area?? The chicken wings at the western stall there are all fried on order, for that crunchy chicken skin and hot, juicy inside - I’m already dying to hunt down these wings. This sounds almost too good to be true. The place opens till midnight too, so now you know where to slay those late night chicken wing cravings at. 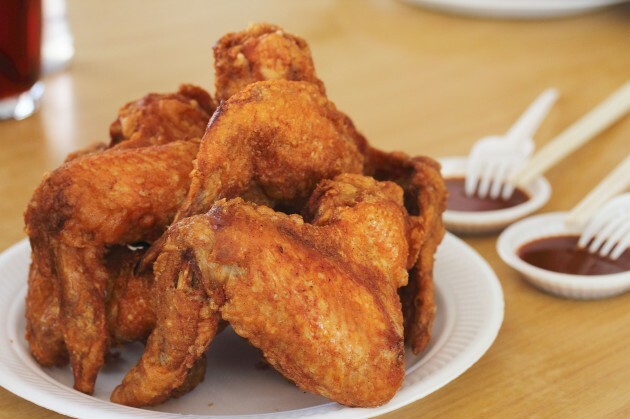 All you westies out there, this is the place to head to for your fried chicken wing fix. Aside from their iconic Swedish Meatballs, there’s another food item that people flock to IKEA for: Their super cheap $1 Hotdog Buns. A juicy chicken sausage tucked in a warm bun, with free-flow sauce - for the price of $1, this ain’t bad at all. 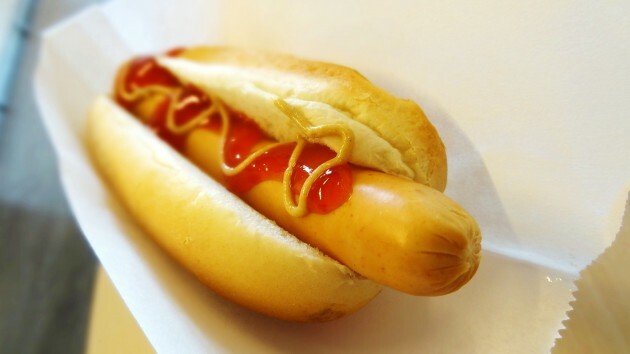 My favorite part about getting IKEA hotdogs as a kid was the DIY sauce station, where you get to top your hot dog with chilli, mustard, or tomato sauce from giant dispensers. 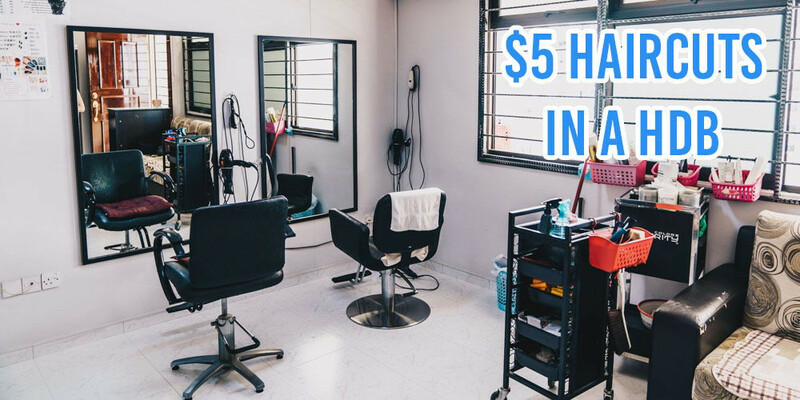 Toss this down with a cup of $0.50 Hot Drink from the IKEA Bistro, or get the Hotdog Set With Soft Drink ($1.50), which will save you 50-cents! 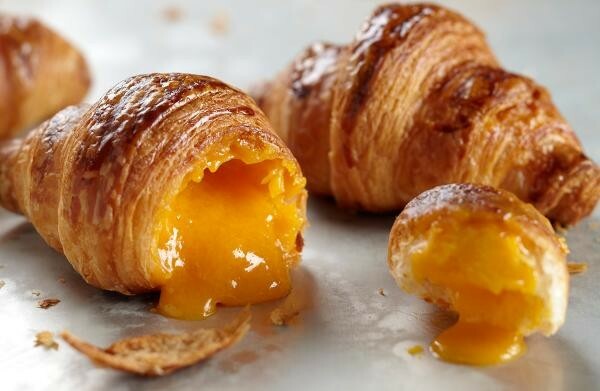 Amongst the numerous bakeries that have created their own renditions of this decadent pastry, Breadtalk’s Golden Lava Croissant ($1) is one of the few that are worth its weight in gold (coins). 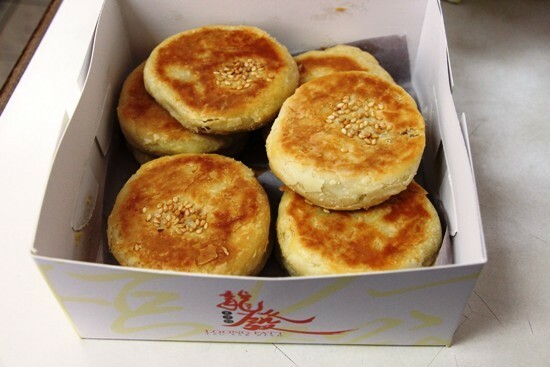 These pastries have got a perfect golden ratio of flaky croissant to salty-sweet liu sha filling, and the bite-sized portion means that you can choose to eat however many you want - depending on how full you are. Buy in bulk and get even more bang for your buck. A dozen mini liu sha croissants go for a mere $10, pushing the prices to below a dollar for each buttery custard-packed morsel! Steamed baos are a trusty staple that will never let you down, and one of the best things to wake up to is a breakfast of soft, piping hot steamed buns. Every Singaporean family has got their favorite place for char siew bao, and mine swears by Nam Kee JB Handmade Pau. This eatery at The Grandstand @ Turf City almost always has a queue for their delicious bao, which is freshly steamed in-house in giant baskets. 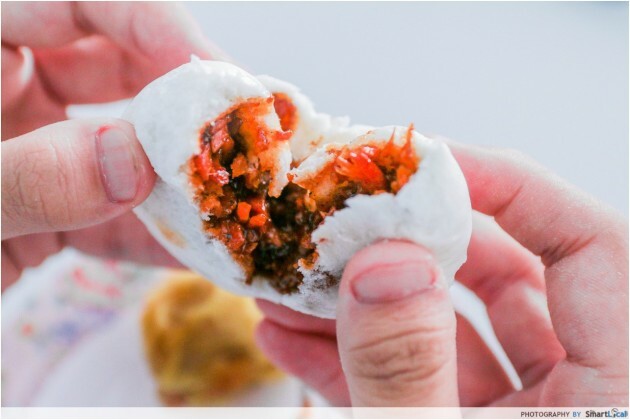 Their Char Siew Bao ($0.80) might look small, but it packs a punch - each fluffy bun is stuffed full of lean barbequed pork in a thick, sweet sauce. They still taste awesome even after being refrigerated overnight and re-steamed the next day. If you’re a fan of leaner, more flavorful char siew bao, you’ll fall in love with Nam Kee’s, just as I have. Side note: Nam Kee also serves a terrific hand-pulled mee hoon kuay, which people line up nearly an hour for! Brave the morning queue and give it a shot. If you’ve been pining for the awesome goreng pisang that was once sold at the now-closed Longhouse, all is not lost! 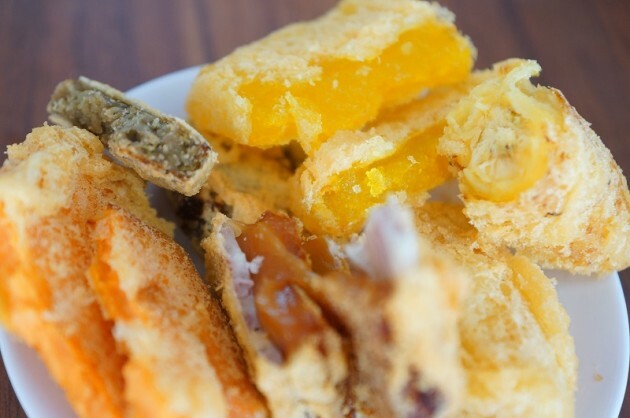 Boon Pisang Goreng - who reportedly serves some of the best fritters on this island - has moved from Upper Thomson to a stall in Balestier Market, and they’ve continued their tradition of frying up piping hot fritters for all to enjoy. For a super satisfying snack that won’t break the bank, indulge in a piece of their Goreng Pisang ($0.80) - deep-fried banana fritters that are crispy on the outside and gooey on the inside. If bananas aren’t your jam, they do excellent renditions of Cempedak (Jackfruit), Tapioca, Green Bean and more, all for around $0.80 - $1.10 per fritter. You can’t talk about ang ku kueh without mentioning Poh Cheu. This traditional confectionery has over 30 years of history, and they sell some of the best ang ku kueh I’ve ever tasted. Each of Poh Cheu’s ang ku kueh ($1) is near-bursting with filling, and the thin skin remains perfectly bouncy while retaining a melt-in-your-mouth tenderness. Aside from the classic fillings of Sweet Mung Bean and sandy Peanut, Poh Cheu has innovative flavors such as Mango, Durian, and even Green Tea! There’s no question that this delicious old-school treat remains more than worth it. Not only is the Tau Sar Piah ($0.70) from Loong Fatt Eating House cheap, it’s also lip-smackingly delicious. These ultra-fragrant golden discs are undoubtedly one of the best in town. Be prepared to compete with the office workers that swarm the shop for these sesame-studded bean paste pastries, but I assure you, it’s worth it. You’ll be rewarded with a box of fresh, still-hot tau sar piah - a bite will reveal crisp, flaky layers that melt like snow in your mouth, along with a thick, aromatic bean paste filling. 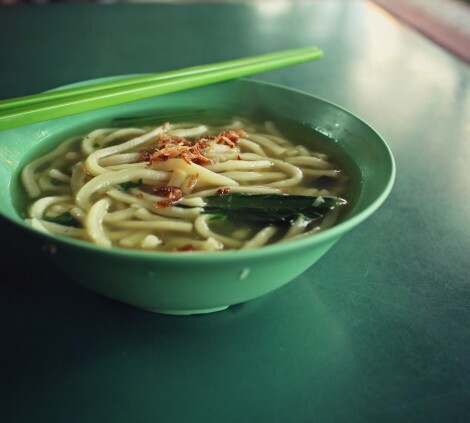 Go for the Salty Tau Sar Piah, you won’t regret it at all. Shui jing bao, or crystal dumplings, are steamed dumplings with a thin translucent skin that’s so delicate, you can see the fillings wrapped inside. One of the best shui jing bao comes from the popular Tiong Bahru Lien Fa Shui Jing Bao, which has relocated from Tiong Bahru to Alexandra Village Food Centre. Their Savoury Shui Jing Bao ($0.70) is excellent. 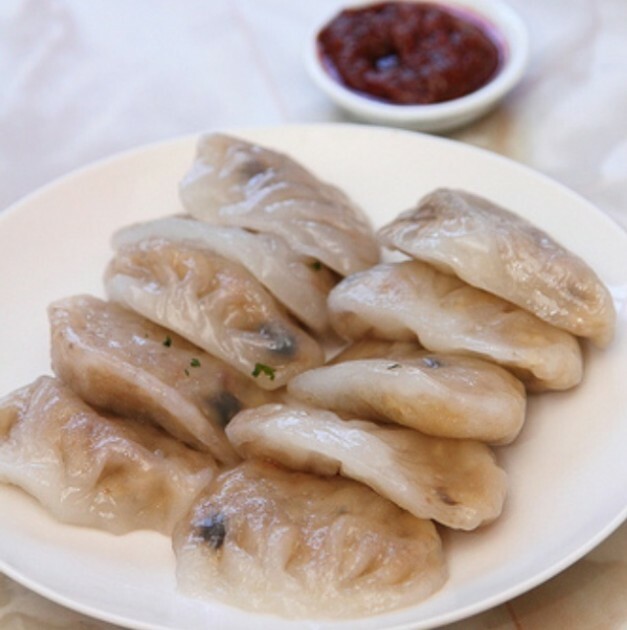 Stuffed full of crunchy water chestnut, cubed radish and dried shrimp, these shiny-smooth morsels are best enjoyed still warm. 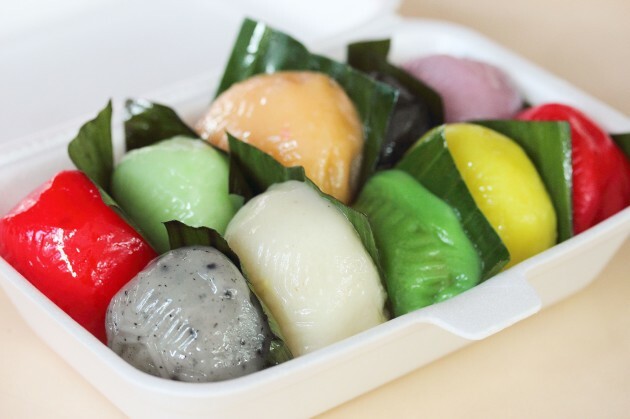 For those who are looking for something sweeter, the Sweet Yam and Sweet Bean Shui Jing Bao ($0.80) are just as good - the filling is smooth with just the right touch of sweetness. Warning: The dumplings sell out super-fast, so many people call in the morning to place orders in advance. Do the same, in order to avoid disappointment. Baker Talent has certainly got a talent for baking up delicious buns for an exceedingly affordable price. 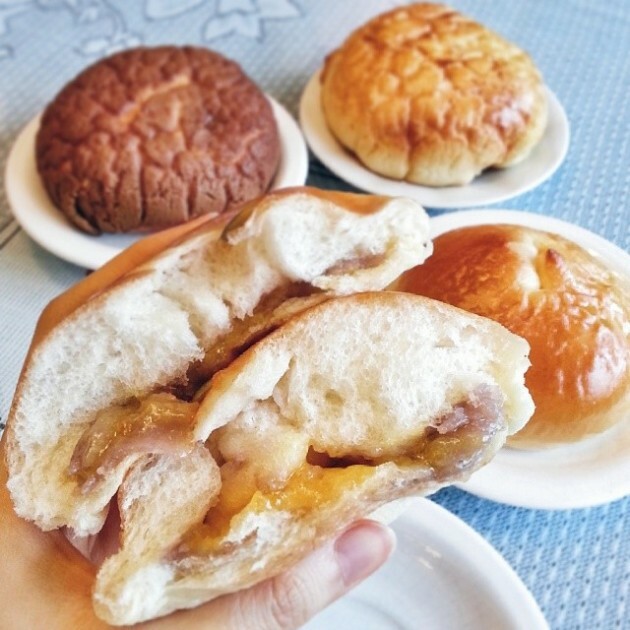 Their oh-so-fluffy buns are stuffed with a myriad of fillings, from savory Mushroom Chicken to the crowd-favorite Golden Sands Bun that’s oozes a river of warm liu sha. Several of their buns are priced below a dollar each, such as the Butter Boom, which goes for a low, low price of $0.60! Baker Talent constantly holds promotions where the prices of some buns are slashed by almost half. The Golden Sands Bun ($0.90) was still at its promotional price the last time we stopped by, so get your fix now! It’s no wonder their fresh bakes sell like hot cakes. 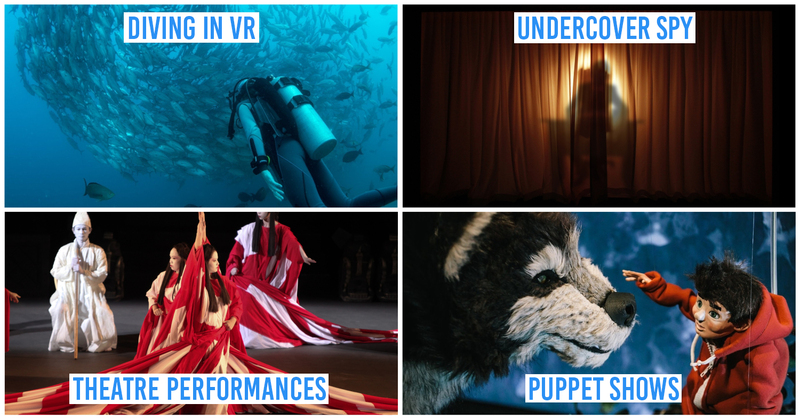 Check out their 4 branches here. 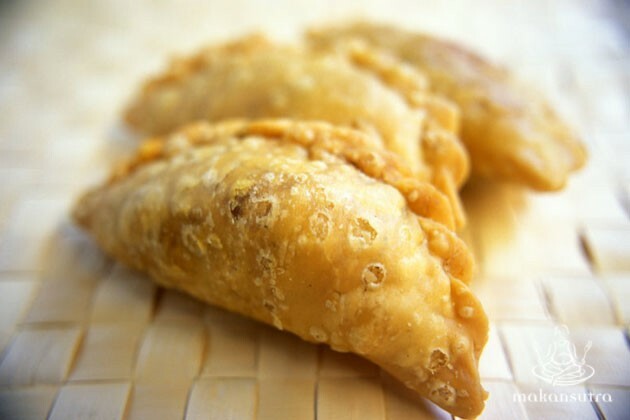 For the clueless, epok-epok may look and sound like a curry puff, but they are actually quite different from their more well-known cousin. Epok-epok is more like a malay empada, and instead of curry, they contain fillings such as potato, stewed chicken, and most popularly, sardines. Nur Kidayah & Family Goreng Pisang & Kueh Mueh at Haig Road is a stall selling Malay kuehs, snacks and deep fried fritters, most of which are priced at $1 and less! There are few places nowadays where you’ll find these spicy sardine puff pastries for less than a dollar, much less for 50 cents! This pocket-friendly stall sells other yummy bites such as Samosa ($0.50) and even Roti Hotdog ($1), which you can grab with that single golden coin! As much as I like Llaollao, paying close to $6 for my frozen yogurt fix is sometimes out of my budget. And there are some days where I just don’t feel like gorging myself on an entire towering froyo parfait. 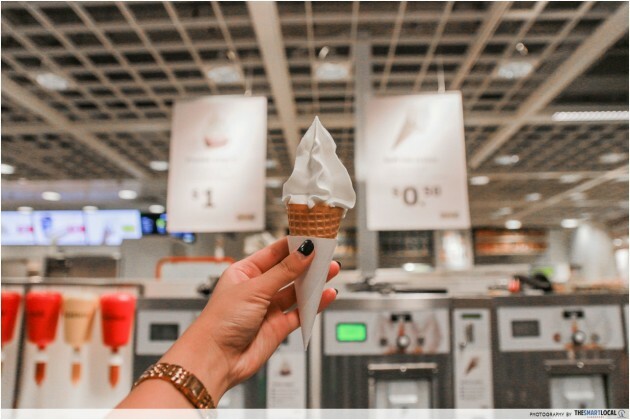 IKEA’s recently released $1 Frozen Yogurt is the simple solution for when you’re craving for a taste of tangy frozen yogurt, but can’t afford to splurge on a Sanum. 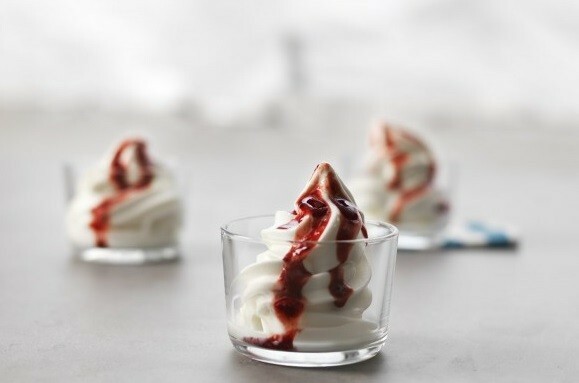 Does plain frozen yogurt sound too boring? You can take your pick between strawberry, raspberry, and blueberry sauce to dress up your cup of froyo, at no additional cost! 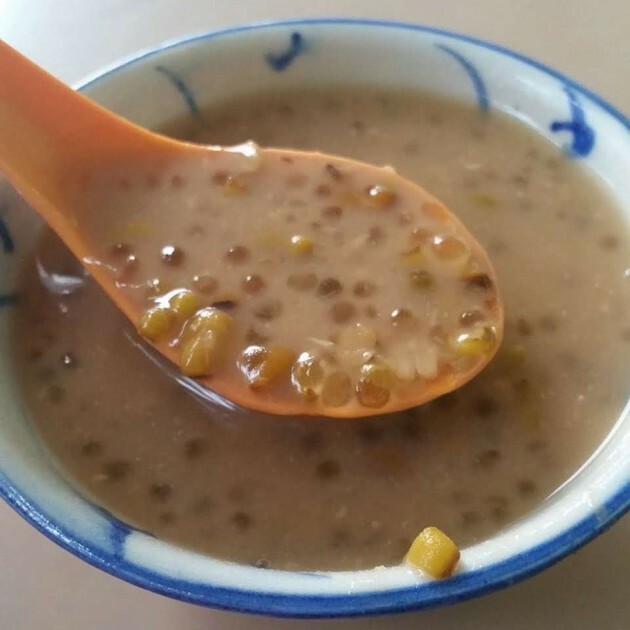 Tau suan is a sweet soup made with split mung beans. It’s usually thickened with sweet potato flour and served hot, topped with chunks of crispy youtiao (fried dough fritters). 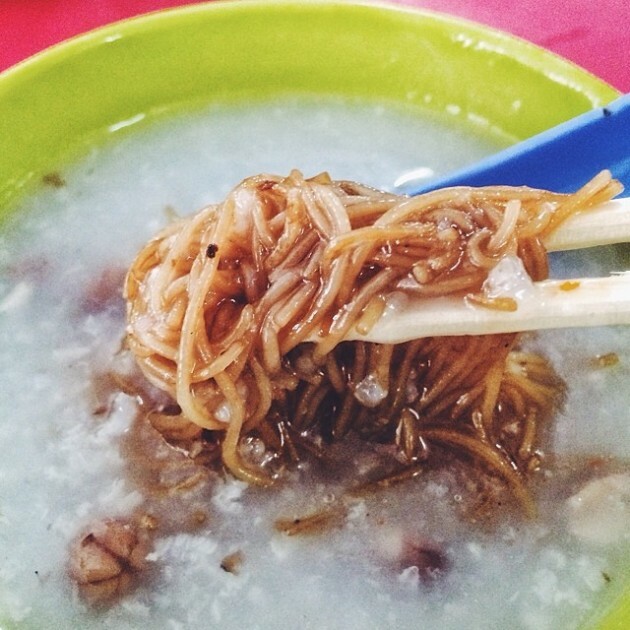 The Tau Suan ($1) at Tiong Bahru Market is by far one of the best, and the cheapest that you can find in Singapore. The aromatic pandan-infused soup has got a good consistency, viscous without being overly starchy, with the soft mung beans contrasting beautifully with the crisp youtiao. The stall also sells Pulut Hitam ($1), a black glutinous rice dessert with a generous drizzle of coconut cream. Tiong Bahru Tau Suan only sells their speciality in the mornings, so head here early for a tummy-warming breakfast of sweet tau suan. Now that’s bliss, for a dollar. Xi Le Ting Dessert is a small stall in Commonwealth Crescent Food Centre that serves traditional sweet soups. 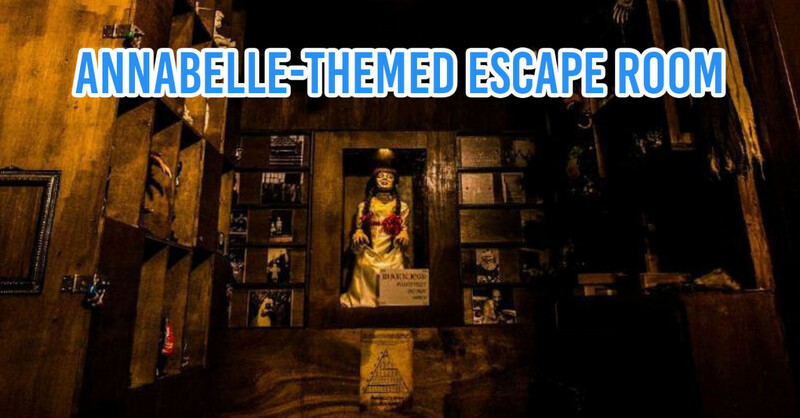 The old auntie has been running her stall for over 40 years now, and this is one place that you have to check out, while it’s still around. Despite the rising prices, this dessert stall somehow manages to keep their prices down to less than a dollar per bowl. The fragrant Green Bean with Sago ($0.80) is so simple and comforting - you can taste the nostalgia in every sip. Aside from being homely and sweet, this soup is supposed to have “cooling” properties too. Just what we need for the sweltering heat. The traditional Ng Kim Wee Confectionery has been baking up their old-school treats for over 60 years now, and they haven’t changed much since. You can still find a good range of nostalgic cakes and bakes for less than a dollar! If you’re having a down day, there’s nothing like a slice of Zebra Cake ($0.60) for brightening things up. 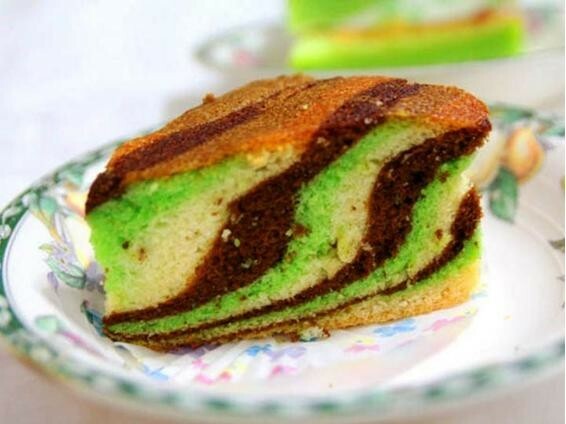 This striped cake is painted with a mix of pandan, vanilla and chocolate flavors , and still has that deliciously dense, deeply buttery crumb that I remember from my childhood days. Min chiang kueh tops my list of all-time favorite treats. These chinese-style pancakes are entirely different from your fluffy, syrup-drenched pancake stacks - they have a denser texture, and come stuffed with all kinds of traditional fillings. Weng’s Pancake at Maxwell Market is my go-to spot whenever I’m craving for a bite of this old-school snack. What sets their pancakes apart is the special pandan-infused dough, giving them an added fragrance. Their rolled Min Chiang Kueh ($0.50) comes in flavors ranging from Red Bean to Coconut, but my favorite will always be their classic Peanut. Soft, chewy and spilling with sweet, sandy crushed peanut filling - every bite is pure heaven. Ah, the simple joys in life. I’m sure you were as devastated as I was, after the end of McDonald's’ 50 cents Vanilla Cone ice cream. 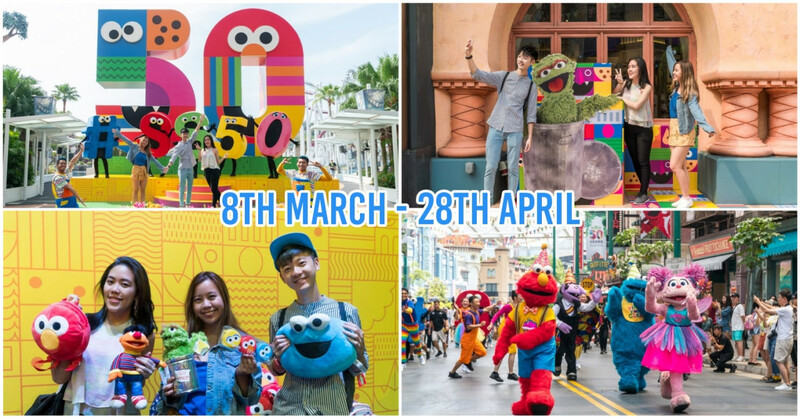 We did get a temporary throwback to those cheaper, sweeter days during the McDonald’s Jubilee Week Promo last year in 2015, but alas, the happiness was short and fleeting. Or not. Once again, IKEA’s here to save the day (and our money). Amazingly, they still sells their vanilla Ice-Cream soft serve at that deliciously-low price of 50 cents! You even get it in a yummy wafer biscuit cone, instead of some cheap styrofoam-like atrocity. 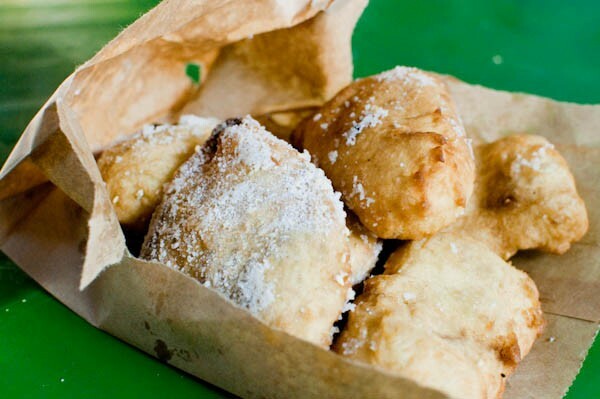 Forget fancy $6 gelato and sorbets - this is the perfect pocket-friendly treat. Thank the stars for IKEA. That place is truly a cheap food heaven on earth. 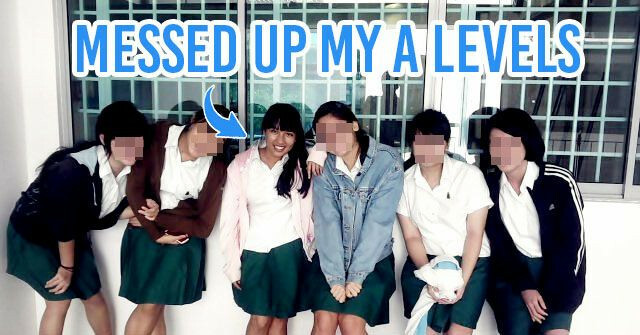 TSL’s Guide To $2 Food in Singapore sounds unbelievable already, and this list is an upgrade on that. There’s nothing more satisfying than indulging in cheap-but-good nosh. Does having a 5-course meal - complete with snacks, appetizers, entrees, desserts and drinks - for less than $5 sound absolutely ridiculous? Well, not anymore. Put those purple and red notes away, there ain’t no need for those. If you ever find yourself starving on the streets, with only a single dollar coin in your pocket, now you know where to go. Don’t say #bojio.